Airlines are always looking for creative new ways to activate their partnerships in the air, but Virgin Atlantic may have yet again broken new ground with what it's calling the "world's first commercial art gallery at 35,000ft." The partnership with renowned British artist Ben Eine, will offer Upper Class passengers flying between London and New York the opportunity to view, and purchase, a series of one-of-a-kind paintings by the artist. 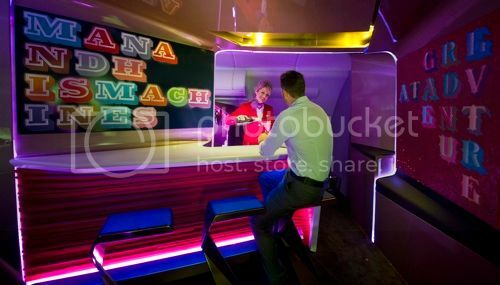 The Gallery in the Air will run during the month of February in what Virgin says it its latest cutting-edge initiative to further enhance passengers’ inflight shopping and entertainment experience. The pieces will be priced between £2,500 and £15,000 making this one very expensive flight! “I am a huge fan of Ben’s work and like us, he does things differently and doesn’t follow the crowd,” said Sir Richard Branson. “We’re delighted to be working with him, mixing things up a bit and having a bit of fun along the way." 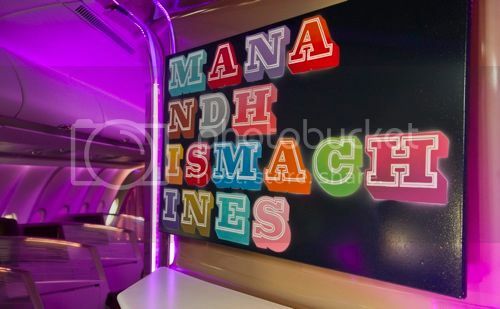 Virgin says The Gallery in the Air with Ben Eine is only the first in a series of unique on-board collaborations with renowned artists, as it looks to find creative new ways to enhance the passenger experience on long-haul flights.